Callawassie Island is a pristine sea island community with a diverse and ecologically sound habitat. 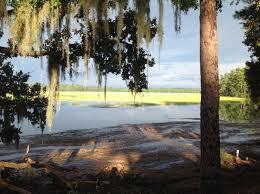 Callawassie Island is dedicated to preserving the delicate balance between nature and carefully planned development. Currently 500 residents enjoy this private communities world-class golf and tennis, natural environment, and exquisite salt marshes teeming with wildlife. Callawassie Island’s River Club sits along the Colleton River and encompasses the community clubhouse, swimming pool and deepwater dock with gazebo.